As their agency of record, Citizen Relations recently help retailer Future Shop with their latest Media Day. 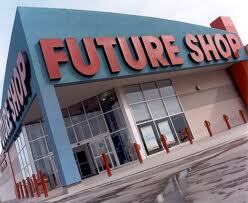 These are private events where Future Shop invites media outlets to come and check out the latest in products (and sometimes services) that will be available in the coming months at Future Shop locations across Canada. With back to school edging closer (sigh, more traffic), this edition focused consumer electronics from manufactures such as Asus, Acer, Samsung, Sony and Toshiba. Any gadget lover would be drooling at one of these events as the vendors will showcase the products that aren’t even in the stores yet, and in many cases will be exclusive to Future Shop. Citizen Relations support by inviting a targeted media list and onsite event management.